The delicately restrained and emblematic ColvmbvsTM by Charriol breaks free of the round shape to appear in an elegantly waisted rectangle. Playing on the subtle alchemy between straight and curved lines, it distils an elegance tinged with classism making it a perfect choice for any situation. 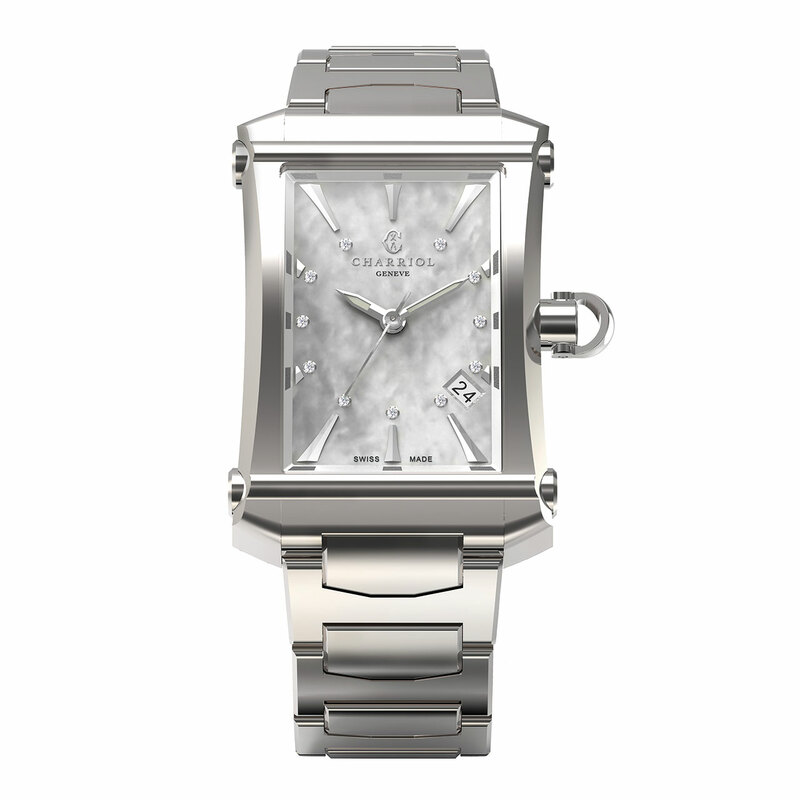 This delightfully chic model with its mother-of-pearl dial and diamond hour-markers will doubtless appeal to women of today.